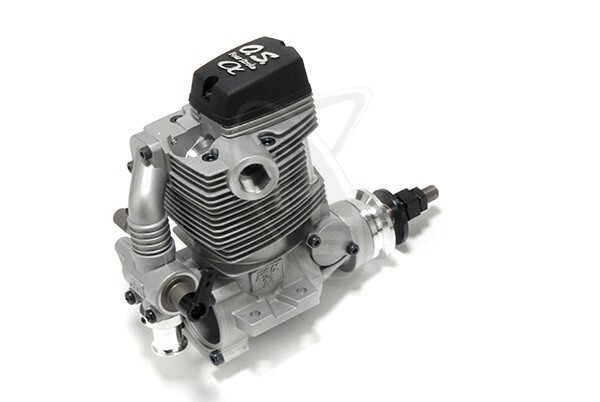 FSα-72 II is a single-cylinder overhead valve four cycle engine. It features a sharp and modern look and broad power band to suit a variety of model types. The F-5030 silencer is designed to minimize noise with its soft, low-amplitude sound. Threaded header pipe allows adjustments in the distance between silencer and exhaust and exhaust angle. It has the same mounting dimensions, drive hub position and linkage position with the FL-70.